Fall is here–let’s CELEBRATE!!! Now that the kiddos are back in school it is time to start thinking about getting our finances—and our schedules—back in order. 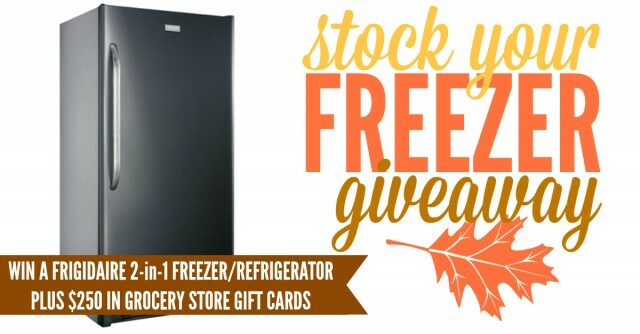 One great way to save both time AND money is with a secondary freezer, which is why we’ve once again partnered with 11 of our favorite blogging friends to bring you this AMAZING giveaway. 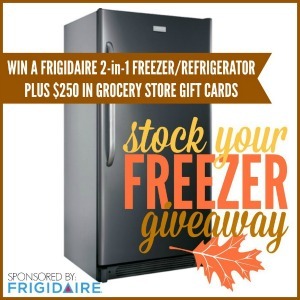 One LUCKY Reader Will Win a Frigidaire 2-in-1 Freezer!! This must-have Frigidaire 2-in-1 Freezer Refrigerator is both beautiful AND functional. It comes in a new classic slate color that you will actually want to show off, and has an awesome SpaceWise™ Organization system that can be customized to fit your family’s needs. It also converts from a freezer to refrigerator with just the flip of a switch, which makes it even more convenient!!! Did you know that average family can save as much as $750 a year just by utilizing the extra freezer space from a secondary freezer? These amazing savings come from stocking up on food while it is on sale, as well as from freezer cooking in bulk simple but delicious meals using budget friendly ingredients. PLUS, our winner will also receive $250 in Grocery Store Gift Cards!!! 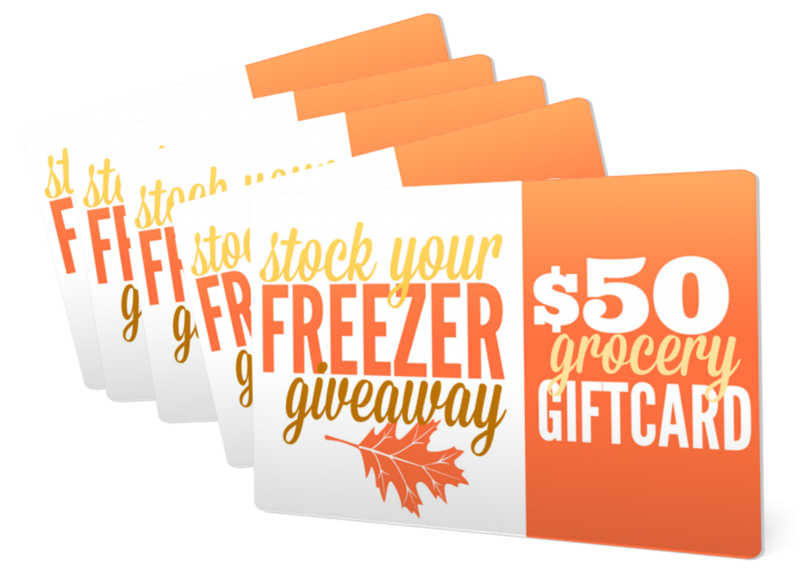 Let us help you get your freezer completely stocked for fall! 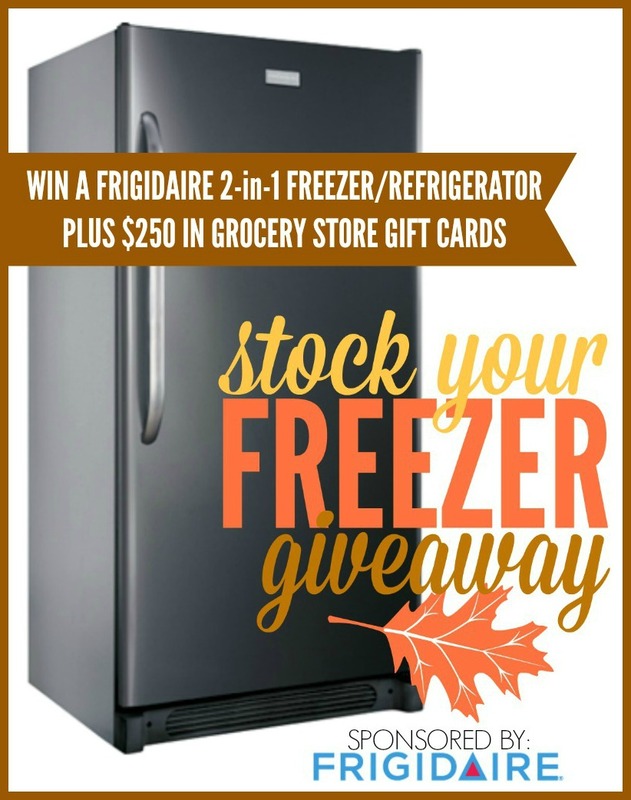 YOU could be the family excitedly awaitingyour brand new Frigidaire 2-in-1 Convertible to be SHIPPED to YOU! Kids Activities Blog– Kids Activities Blog is overflowing with fun crafts, art projects, games and activities for kids- most with contents from yourkitchen junk drawer! The Dating Divas-Each Monday, the Divas offer a fabulous date idea already completely planned out for your upcoming weekend. Throughout the rest of the week, they offer FREE flirty tips, tricks, tutorials, & darling printables to keep the romance alive and the sparks flying’. The 36th Avenue– The 36th Avenue is yournumber one destination for easy DIY projects, free printables, adorable handmade gifts and holiday ideas, delicious recipes and everything EXTRAORDINARY! Kara’s Party Ideas -Kara Allen is the party designer, author, dessert stylist & creator behind THE place for ALL things PARTY-KarasPartyIdeas.com. Kara’s Party Ideas holds millions of party ideas you can search, party recipes, a party supply shop, a fab party book, fun worldwide party workshops, an app & more! Remodelaholic – If your goal is to make yourhouse a home, then come to Remodelaholic.com. They will teach you the best ways to update yourhouse and design and decorate your home on a budget. Go from builder grade to beautiful with their help. Craftaholics Anonymous–At Craftaholics Anonymous Linda shares all sorts of fun and creative tips & tricks, crafts, tutorials, holiday ideas, and DIY home decor. Having an extra freezer would be fantabulous!!! Thanks for the chance!